You are free to browse our website without disclosing any personal information to us. d) Information about you that we may receive from other sources. We work closely with business partners (including, for example, those providing technical, payment and delivery services, analytics providers, search information providers and credit reference agencies) and we may receive information about you from them. At Shop Local Club Card we understand that security is an important concern for you when purchasing on-line. Information you give us will be stored securely on our systems and we use sophisticated technology to ensure that all your personal and payment details remain confidential. We do not store payment card details and we use PayPal to handle payment transactions via secure payment pages. PayPal receives information about you from us needed to verify and authorise your payment, and is obliged to comply with the Payment Card Industry Data Security Standard (PCI DSS) and to keep all of your personal information private. 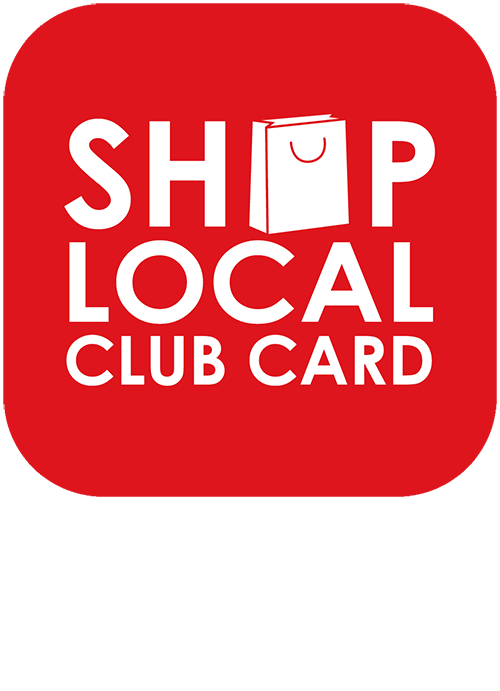 Shop Local Club Card complies with all applicable Data Protection and consumer legislation. Our security technologies and procedures are regularly reviewed to ensure that they are up to date and effective. For further verification look for the padlock symbol in your browser window as you proceed through the order and payment process. Unfortunately, the transmission of information via the internet is not completely secure and we cannot guarantee the security of any information transmitted to or from our website. Any transmission is at your own risk and you should ensure that any payment transactions you make are made in a secure environment. You should keep confidential any personal security codes and passwords, and comply with any instructions that we may give you in order to keep such details confidential and safe. g) To administer our site and for internal operations including trouble-shooting, security purposes, data analysis, testing and statistical survey purposes. If you do not want us to use your personal or company contact data for our marketing purposes or to send you details about special offers, third parties or other information which we think may be of interest to you, please contact us or tick the relevant box when we collect your data or use the unsubscribe facility in our communications. a) We are under a duty to disclose or share your personal data in order to comply with any legal obligation, or to enforce our terms and conditions, or to protect our rights and property or our safety and that of our customers and third parties. This includes exchanging information with other organisations for the purposes of fraud protection and credit risk reduction. b) If Shop Local Club Card Limited is involved in a sale or purchase of a business or assets, in which case personal data about our customers may need to be disclosed to the buyer or seller. To do this, you can tick the appropriate box on the form(s) we use to collect your information or by using the unsubscribe facility or by contacting us via the Contact Us page on the website. Our website may contain links to and from the websites of our business partners and other third party sites of interest over which we have no direct control. If you follow a link to any of these websites, you will have left our site and we do not accept any responsibility or liability for the privacy of any information you provide whilst visiting such sites. You should check the sites carefully before you submit any personal data to them. For the purposes of the Data Protection Act 1998 (the Act), the data controller is Shop Local Club Card Ltd with registered company number 01807526 and with trading address: Meridian House, Botany Business Park, Whaley Bridge, High Peak, SK23 7DQ, United Kingdom. b) Functionality cookies. These are used to recognise you when you return to our website. This enables us to personalise our content for you, greet you by name and remember your preferences. c) Analytical/performance cookies. They allow us to recognise and count the number of visitors and to see how visitors move around our website when they are using it. This helps us to improve the way our website works, for example, by ensuring that users are finding what they are looking for easily. Some of these are third party cookies which analyse website usage. d) Targeting cookies. These cookies record your visit to our website, the pages you have visited and the links you have followed. We use this information to make our website and the advertising displayed on it more relevant to your interests. This information is anonymous and cannot identify you personally, but we may share it with third parties to help tailor advertising to your particular interests. Shop Local Club Card uses Google Analytics’ 1st party cookies with DoubleClick’s 3rd party cookies together to provide additional information on demographics and interests in our Google Analytics reporting. These cookie are essential for our site to speed up your searches, recognise you when you return to our site, actions you take on the site and any products you previously entered into your basket etc.